Angelica Arinze is a senior and Features Editor this year for the County Line. Between indulging in seemingly endless cups of frozen yogurt or complaining about her unfortunately-required science and math classes, she loves to express herself by reading amazing books and writing stuff she cares deeply about. She was born and raised in Reno, Nevada, and moved to Texas her freshman year in 2014. Though it may seem like she doesn’t have much to say or talk about, this doesn’t mean that she won’t make her opinions known. She also likes to learn more about the world everyday, research interesting facts, and take the occasional Buzzfeed quiz (although it’s more like 20 quizzes in a span of 5 minutes). 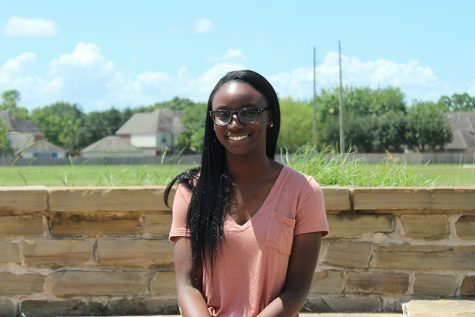 Having switched from the Yearbook to the Newspaper, she is excited to learn new ways to spread school news and connect with the humans of Cinco Ranch.